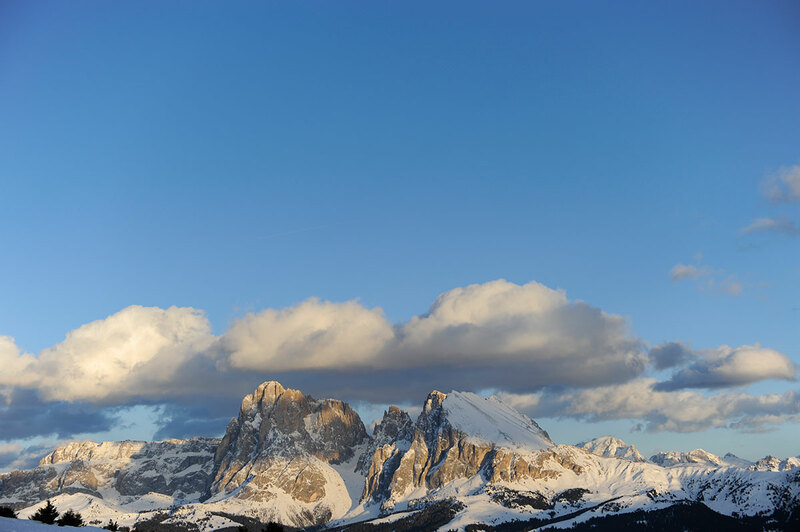 Summer on the Alpe di Siusi and its surrounding villages guarantees all visitors action-packed holidays in the Dolomites: 350 km of footpaths, mountain bike trails, 365 mountain huts, mountain pastures and alpine dairy huts, of which many are open to provide you with a typical break. 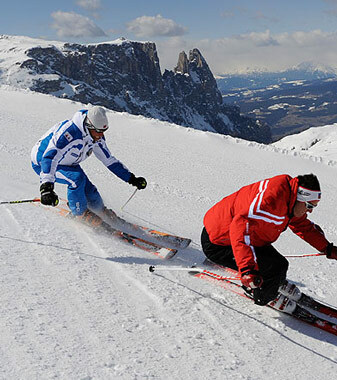 Not only its endless vistas and breathtaking scenery, its sunny and sheltered slopes make the Alpe di Siusi a holiday spot par excellence for winter sport enthusiasts of every age and kind. 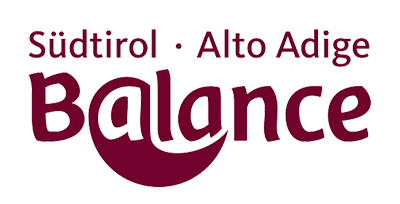 It is a paragon of gentle tourism, and is the preferred venue of active vacationers in search of a cozy atmosphere, scenic beauty, and authentic surroundings. 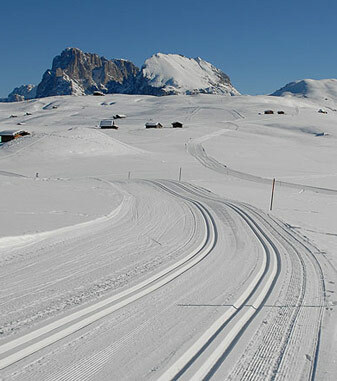 During the winter season 2010/2011, the ADAC Skiguide, the German Automobile Club, has awarded the Alpe di Siusi, along with two other areas, as ski area ideal for children and families all throughout the Alps. 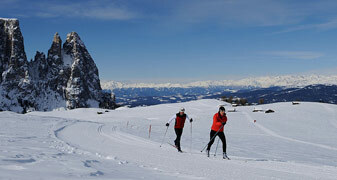 The wintry, snow-covered Alpe di Siusi is a true paradise for cross-country ski enthusiasts and hikers. 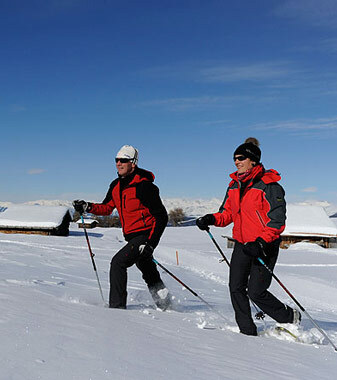 The seemingly endless wide open spaces, the gently rolling hills, the sunny dells, the forest, and the meadows – and everything against the magnificent backdrop of the towering Dolomites (World Natural Heritage site) – invite you to explore them, either on cross-country skis. 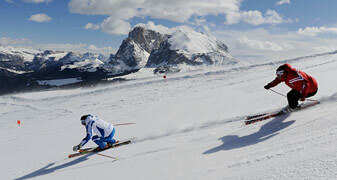 For the use of the cross-country ski-tracks on the Alpe di Siusi a toll must be paid. 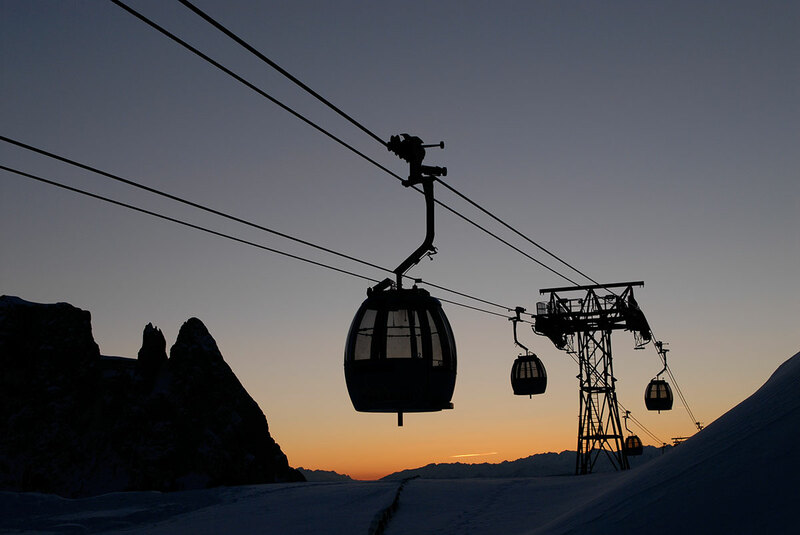 By buying the Nordic Pass, the use of all nordic slopes on the Alpe di Siusi and in Val Gardena is included as well as the use of the Cable car Alpe di Siusi and all the busses in South. 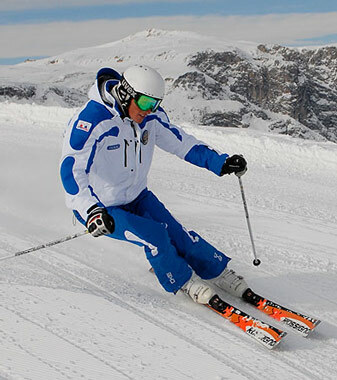 60 km of well-prepared slopes and 100 per cent artificially snowcovered pistes in the heart of th Dolomites (UNESCO World Natural Heritage) makes a ski holiday on the Alpe di Siusi unforgettable. 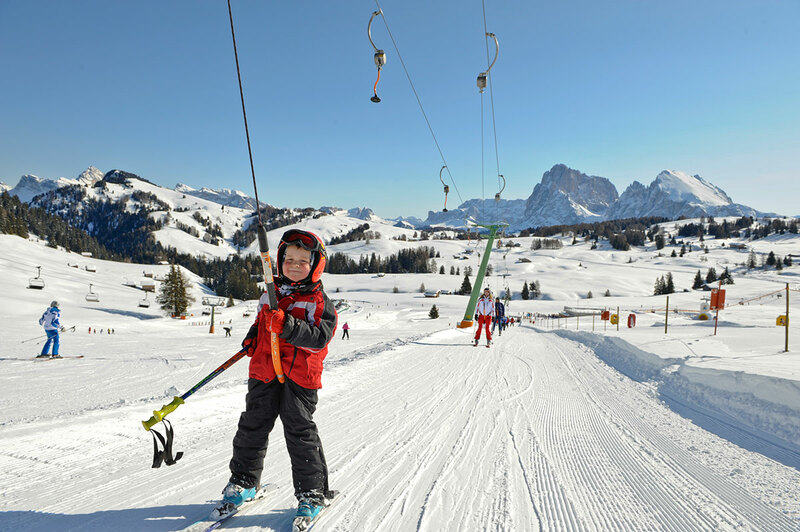 While the more adventurous try the black ski runs, the kids take their first steps on the snow during a ski course on the Alpe di Siusi. 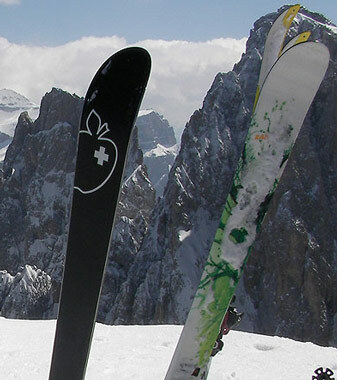 Ski lessons, innovative facilities, the Tour of Witches for the little ones make the Alpe di Siusi, among other things, one of the most favourite areas of the Dolomites for families. 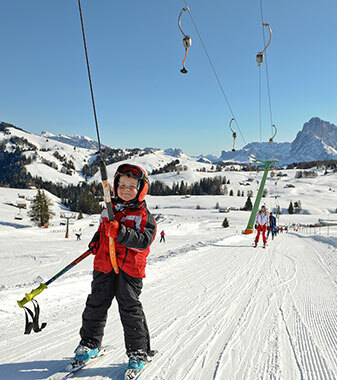 During the winter season 2010/2011, the ADAC Skiguide, the German Automobile Club, has awarded the Alpe di Siusi, along with two other areas, as ski area ideal for children and families all throughout the Alps. 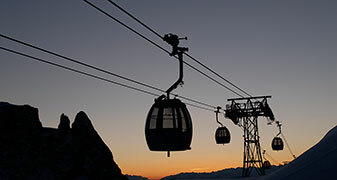 The skipass can be bought without additional charge with credit card directely in our Hotel avoiding long queues at the skipass office – a special service for our guests. 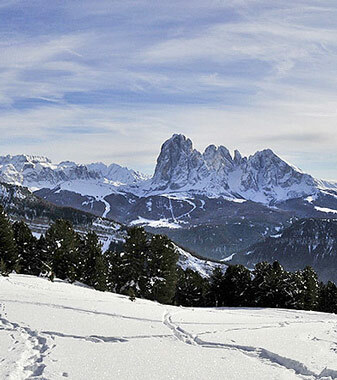 You can get a true taste of adventure on the snow-covered slopes of the Alpe di Siusi and experience the pristine "wild" winter landscape up close. 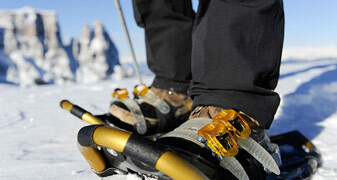 Here you can put on your snowshoes and move freely about, traversing snow-filled meadows and even making your way through deep snow with ease, the way hunters and farmers used to do it. 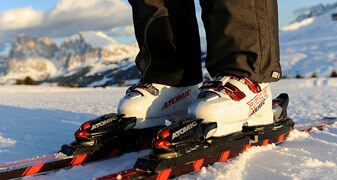 And the best part of it is that you don't need any special abilities, skills, or training to use snowshoes. 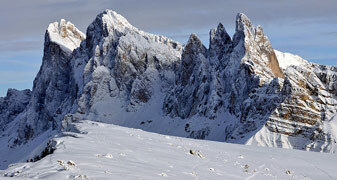 Ascending the mountains on skis and descending it in deep snow: during a ski tour in the Dolomites, the emotions are many and unique. 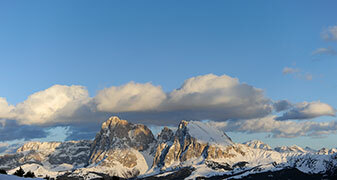 Sledging on the Alpe di Siusi in the Dolomites is pure fun. 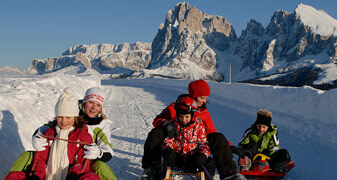 The 7 sledging runs, including one in Fiè and 6 on the Alpe di Siusi are loved by children as well as adults. 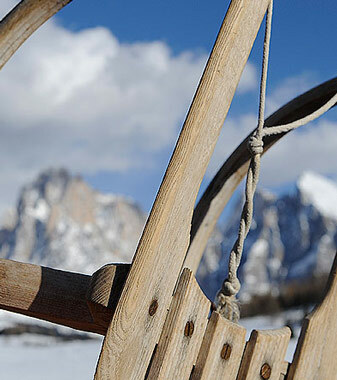 Those who will discover the Dolomites, with their families can experience the thrill of sledging on the Panorama run and those who want to enjoy a breathtaking view, can explore the Bullaccia run. 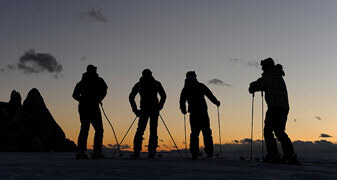 At moonlight the atmosphere will be romantic and cozy, and why not try it out with friends? 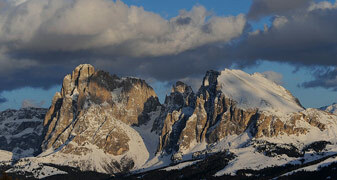 The descent will be unforgettable. 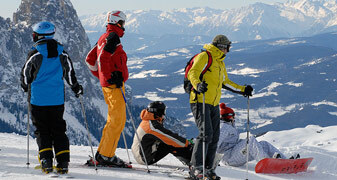 Snowboarding has been a trend since the late 90s and the Seiser Alm offers on of Europe’s largest „Snow Boarding Parks”. In the King Laurin park you can show how cool you are and impress others with your jumps. 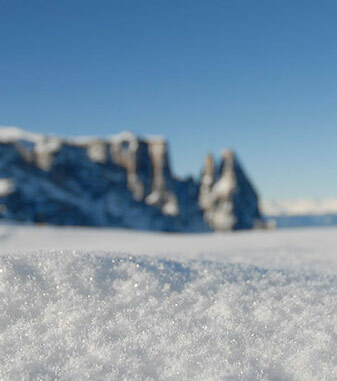 The Combicard ensure that you can enjoy a stress free holiday, with no need for a car. 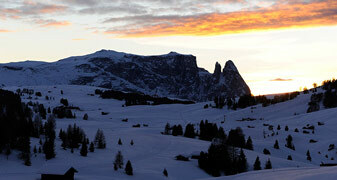 Available for 3, 7 or 14 days, you can use the Seiser Alm cable car as well as all the buses on the plateau between Compatsch and Saltria.